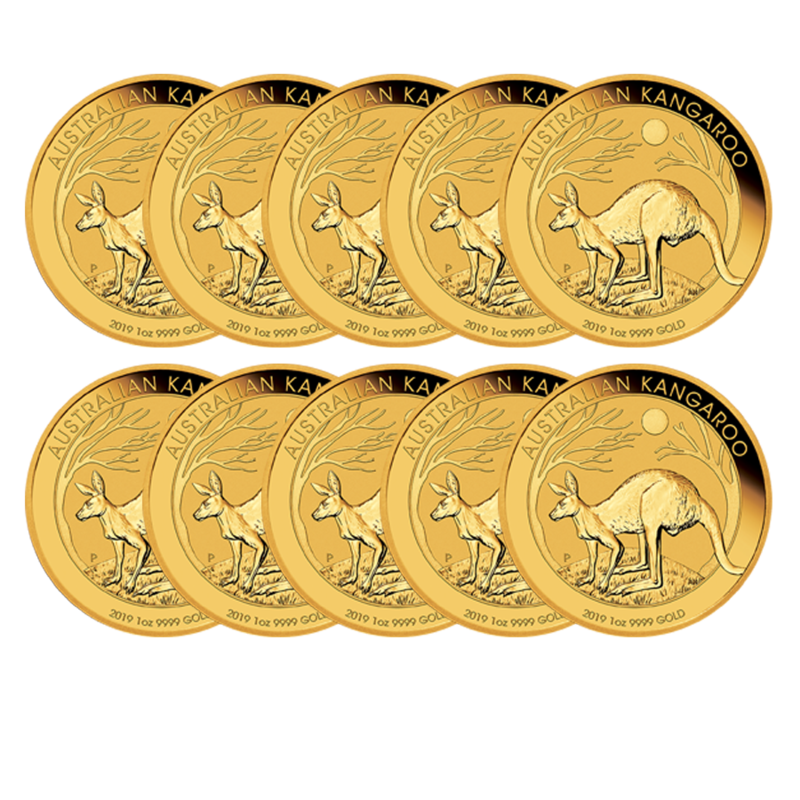 The 2019 South African Krugerrand 1oz Gold Coin bundle includes 10 coins in an original mint tube. 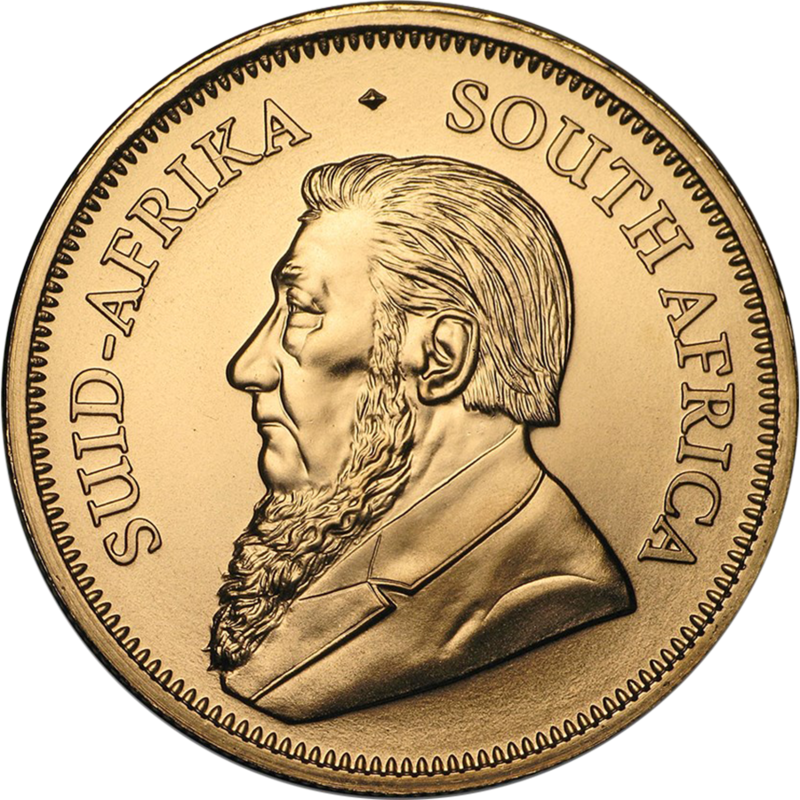 The 2019 South Africa Krugerrand 1oz Gold Coin bears the portrait of Paul Kruger, president of the old South African Republic, on the obverse of the coin. 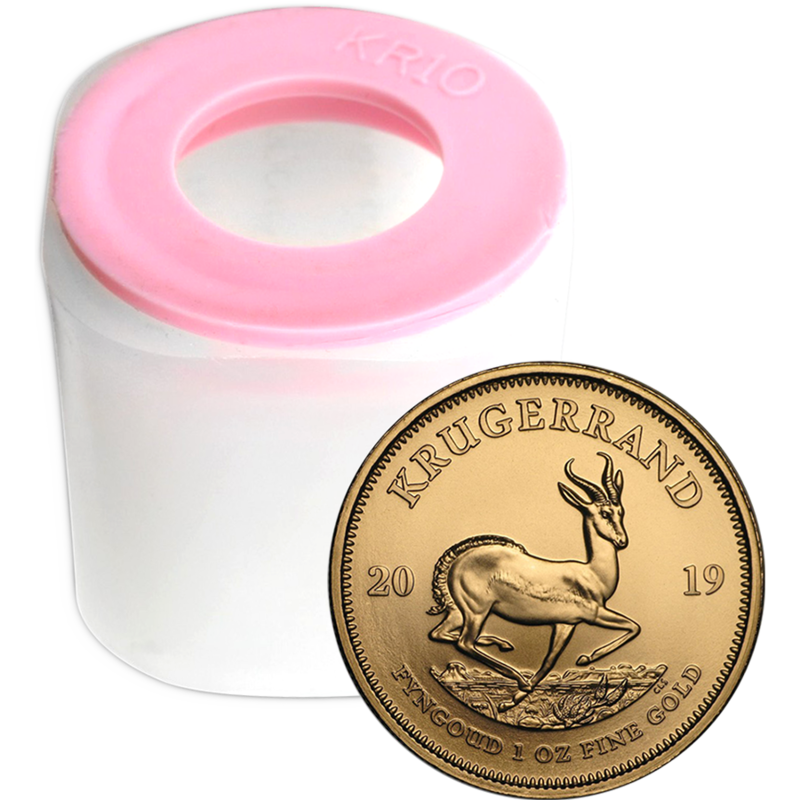 The reverse of the Krugerrand features a Springbok Antelope, one of South Africa's national symbols as well as the name of the South African rugby team, along with the year of minting and gold weight. 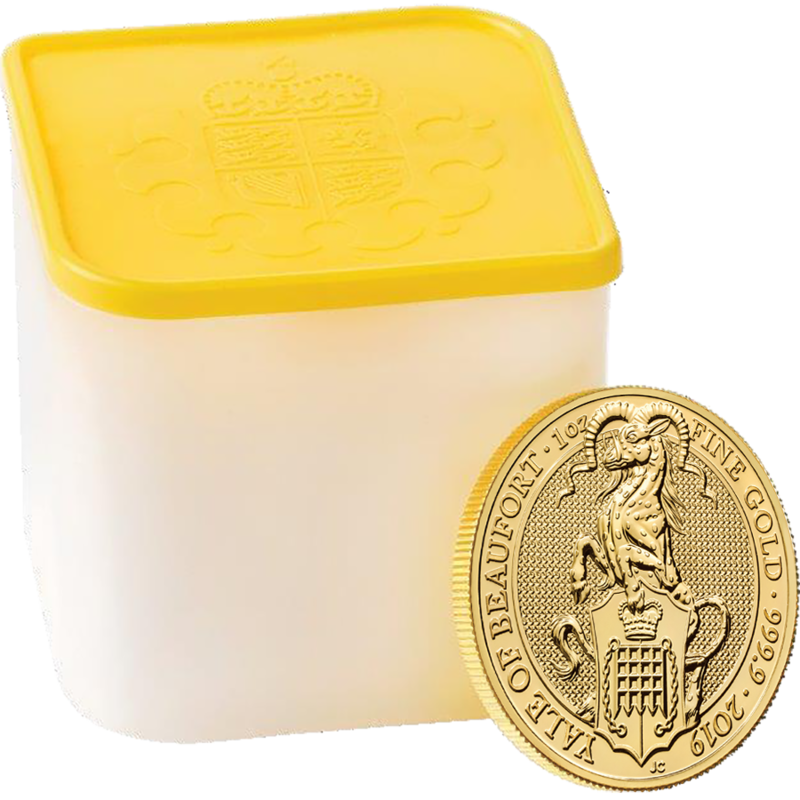 Each coin weighs 33.9g and is 916.7 Fine Gold. These coins are VAT free. Dimensions: Diameter: 32.60mm. Thickness: 2.84mm. 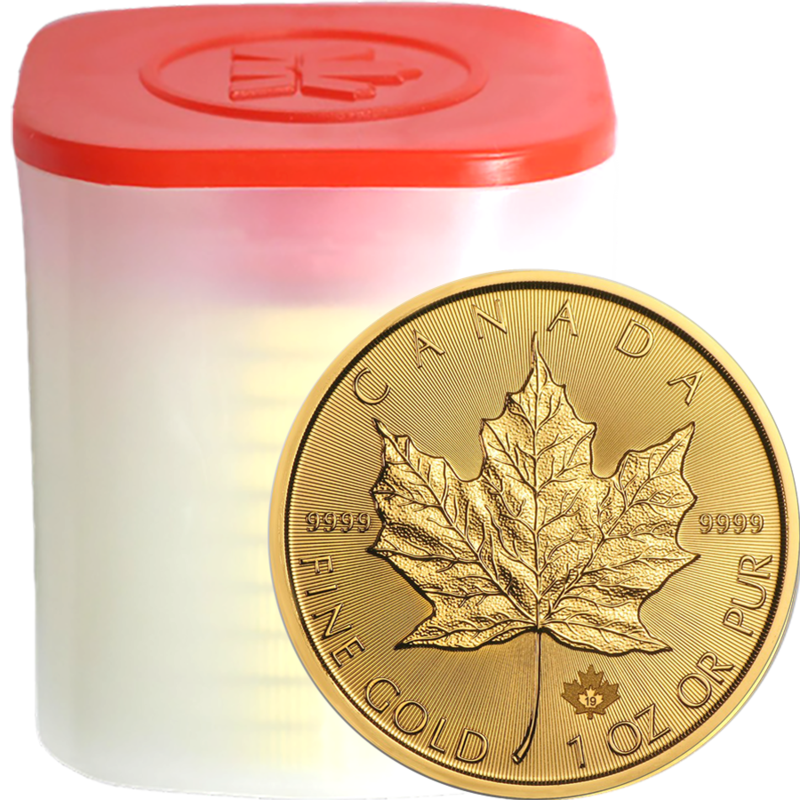 1 Tube contains 10 coins. 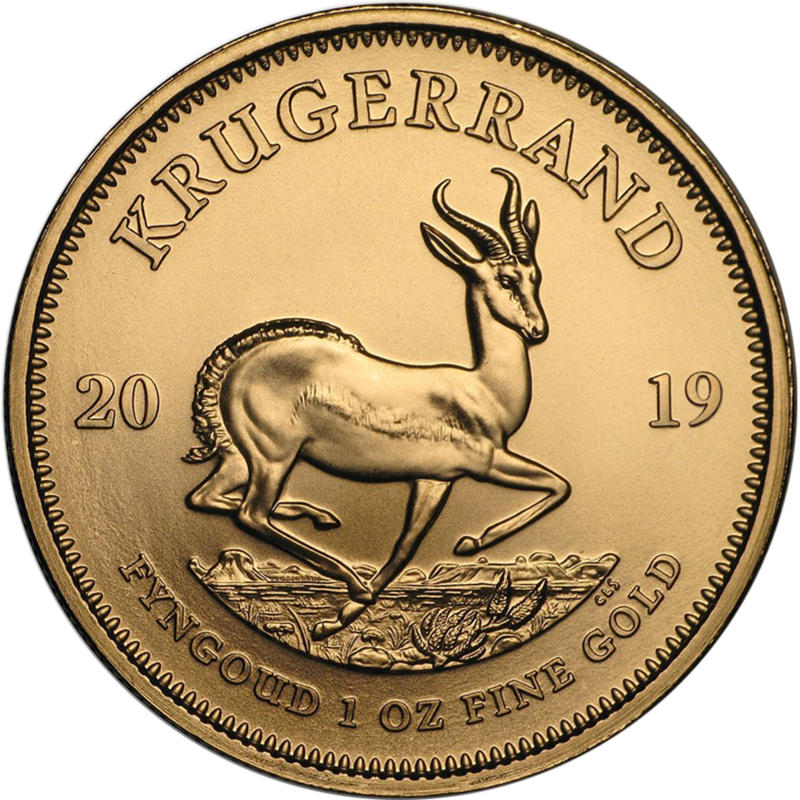 First minted in 1967 by the South African Mint, the name 'Krugerrand' comes from the name of the president at the time; Paul 'Kruger', and the unit of currency of South Africa the 'Rand'. Some countries banned the importing of Krugerrands during the 70's and 80's due to the association with the apartheid government but is now one of the most recognised Gold coins among collectors and investors alike. 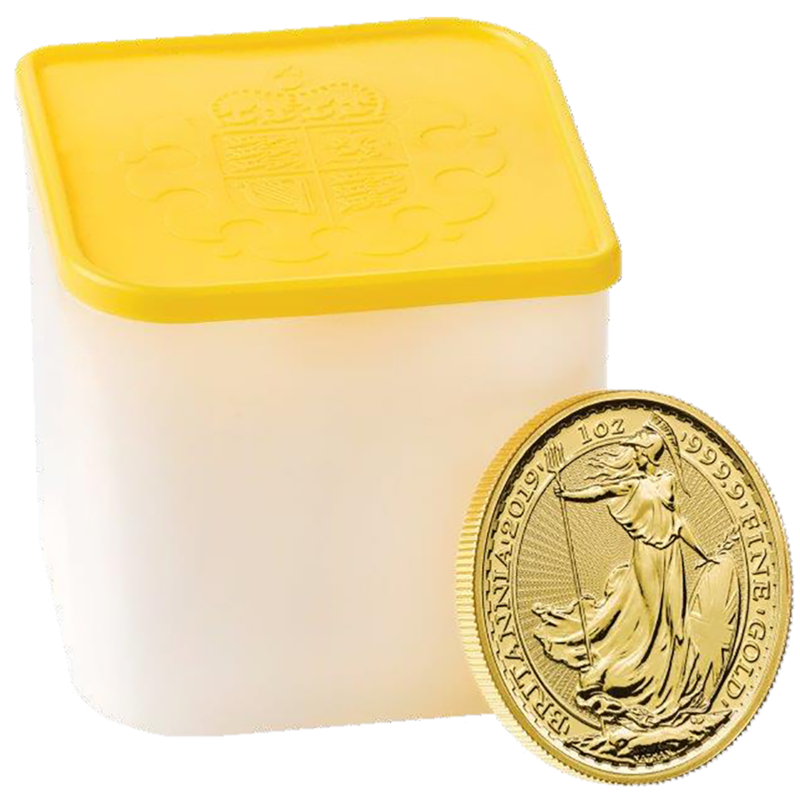 The Krugerrand was given the status of legal tender in South Africa, which is why it is minted in 22ct Gold (91.67% purity) in order to make the coin more durable. The remaining metal in the coin is Copper, making the Krugerrand slightly red in colour.